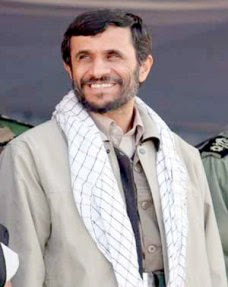 The Conference of Presidents of Major American Jewish Organizations is organizing a protest against Iranian President Mahmoud Ahmadinejad, to be held at the United Nations tomorrow.... Apparently Senator Hillary Clinton (D-N.Y.) was invited to attend and speak, and had accepted. Subsequently the conference also invited Republican veep candidate Sarah Palin to participate, and she also accepted. Upon learning of this the Clinton camp withdrew their acceptance of the invitation, ostensibly because Palin's presence raised a concern with Clinton that the rally had become "a partisan political event."